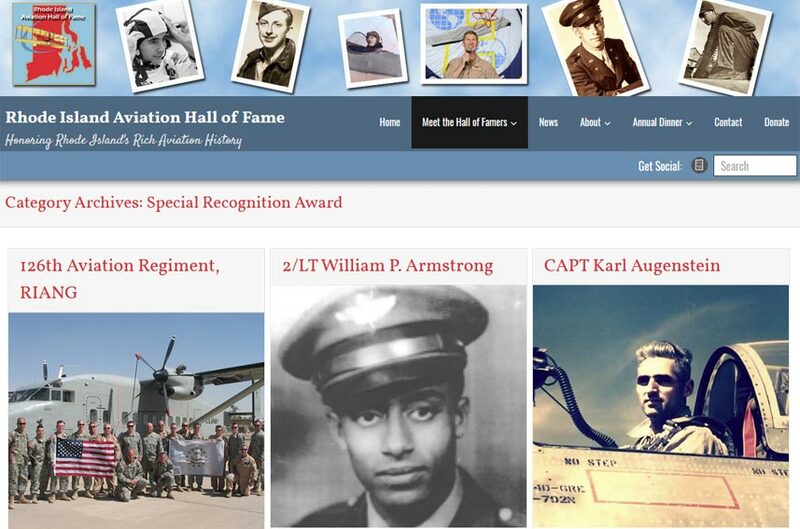 Since 2003, the Rhode Island Aviation Hall of Fame has honored more than one hundred individuals, groups, and even families who have contributed to the advancement of aviation history here in RI. Unfortunately, there was no online tool to be able to view or search this valuable information, only a static HTML site that had existed for 12 years. In one word (yes, again)… WORDPRESS! WordPress used to be only a blogging tool. Not anymore! Making the actual website was only half the battle – gathering, categorizing and entering each honoree was the bulk of the project. Once we worked together to identify the major categories (e.g. Military aviation, Women in aviation), we enlisted volunteers to help get the data in. Using custom tweaks to a flexible WordPress template, we were able to create a secure, modern online research tool that serves as both a fundraiser for the non-profit, and a valuable resource for the community. All contents © 2018 Casey Dahm and/or the client named.